Today I bring to you a widely famous and controversial novel by Dan Brown. OK ….no million bucks for guessing it's The Da Vinci Code. 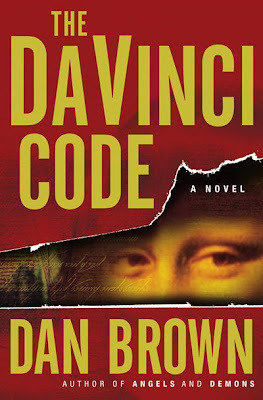 The Da Vinci Code by Dan Brown is a fictional thriller. A perfectly exhilarating plot with stimulating narrations. Brown certainly knows his ways with words! It is the story of a Harvard symbologist Robert Langdon who is in Paris on business. He receives an urgent call one night and when he arrives at the spot of the murder…..the sight he sees is absolutely stunning! The body was arranged as a cipher meant for Sophie Langdon, the granddaughter of Robert. She is a French cryptologist. Langdon is stunned to discover that it all leads to a trail of clues hidden in the works of Da Vinci…clues visible for all to see…and yet ingeniously disguised by the painter. Later, after a lot of struggle, being the major suspects of the case, they discover that Langdon, the late curator was the member of the Priory of Sion-an actual secret society whose members included Sir Isaac Newton, Botticelli, Victor Hugo, and Da Vinci, among others. The Louvre curator has sacrificed his life to protect the Priory's most sacred trust: the location of a vastly important religious relic, hidden for centuries. Through various twists and turns, the twosome finally discover the stunning truth. Truly a commendable read but after turning the last pages, I realized it had not actually risen to the level I thought it had. Anyways, in no way can you call it disappointing so run up and grab a copy now!! Great Expectations- by Charles Dickens! Do Not Get Trapped In Those Words!
" Let's face it - English is a crazy language. Quicksand can work slowly, boxing rings are square and a guinea pig is neither from Guinea nor is it a pig." So rightly says the author! So today, I decided to abet all those writers who cannot find enough writing help around the vast expanse of the World Wide Web, or to be precise, do not know where to look for it! English is alien to all amateurs and professionals. Some do not know how to begin and the others have no idea where to end. Young or old alike, English traps you in its venomous fangs, not caring about who you are. And now you are perplexed about finding a way out of it’s gaping poisonous mouth?? So today, I bring to you a good site, capable of your attention to help you out of the traps of English! Word Traps, is a site which provides you a valuable insight into this confusing language, English. It has a good many tips and resources to help you get out successfully of the various embedding traps of English! It contains of many sentences of similar sounding words which often confuse oneself. But not any more!! For this site comes to your rescue just then. The author of the site very rightly explains the phenomenon called English, in the beginning. Sentences like, "The soldier decided to desert his dessert in the desert." often confuse the reader. Here, the author tells you about his really intrinsic thoughts and at the end, you will also find a very interesting dictionary which helps you differentiate between these similar sounding words! So go on, pull up your socks and be off to help yourself! Not Sure About The Exact Word To use? 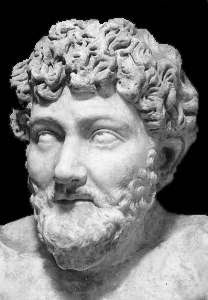 Aesop- An Ugly Slave or A Famous Story Teller? I would not believe it if any of you said you do not know who Aesop is. However, Aesop is actually said to be the author of a plethora of animal stories and fables, which are fairly similar to the Indian Panchatantra and teach worldly knowledge and wisdom! Now comes the information I attained, they say that according to Greek historian Herodotus, Aesop survived on planet Earth sometime during the 6th century BC. He is said to have been a pitiable slave on the island of Samos. Much has been said about his uninviting physical characteristics. It is said the Aesop was the ugliest of men to survive on Earth. He had a deformed face, crooked nose, shrewd mouth and unruly hair with sore eyes. People, as they are, used to laugh more at Aesop and his bleak beauty rather than his stories. But Aesop, being a man of fortitude and patience bore through the pain and canalized his anger or agony into producing better and better stories. And at last, they say he succeeded for half the people in the 21st century do not know that Aesop was probably a real person. His name has become phenomenal and synonymous to the word “fable” and many tales not composed by him were nevertheless attributed to him. So here comes the final verdict, “Every cloud has a silver lining!” What is yours? Charles Dickens and The Rotten Eggs! Do Some Gambling and Become a Great Poet! Sleep Facing North and Improve Your Writing! Improve Your Writing By Keeping A Rotten Apple! 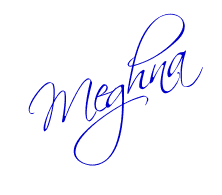 I have stumbled upon a writing blog afresh and here I share it with you. “Literary Jewels”, is another wonderful literary blog that you can visit and enjoy. The author of this blog is an Indian student, Amritbir Kaur. The blog has a vast range of topics to choose from and the author presents posts in a creative and unique manner. The quotes widget on the top will certainly enlighten your day as you go for a read. The articles written by the author have a unique charm and display abounding dexterity on her part. One of her personal posts, Of Childhood, is a well framed article with smooth flow of words. The quotes perceived there are also a treat to the mind. The blog can give you interesting articles on many authors like, George Eliot, J.K Rowling, John Keats, John Grisham, T.S Eliot, Wordsworth, William Blake and many more. One of the interesting posts that I found was Bill Gates’s Quotes, which has many witty anecdotes by the successful millionaire. Another good post is the latest one, Shakespeare’s Grave. All posts are an abode of good words, quotes and interesting views and information. In the end, all I can say is Literary Jewels is certainly a dazzling jewel among the million others! A Corner For Your Creative Writing! Tips For Your Daily Writing! 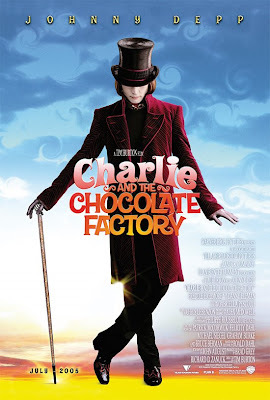 Charlie And The Chocolate Factory is an extraordinary fantasy novel by children's writer, Roald Dahl and had also been made into a motion movie. This is an awesome novel where Dahl has outshone any fantasy writer. The story is about a poor boy Charlie, who lives in extreme poverty. His favorite birthday gift is the famous Wonka chocolates and he cherishes the single chocolate he receives every year. He eats a bit a day so that it lasts at least for a month. For the first time in a decade, Willy Wonka, the solitary and eccentric chocolate maker, is opening the doors of his unique chocolate factory for five members of the public. The lucky five who find a Golden Ticket in their Wonka chocolate bars will receive a private tour of the factory, given by Mr. Wonka himself. For young Charlie Bucket, this a dream come true when one cold winter night, he retrieves a dollar from the ground and buys two Wonka's Whipple-Scrumptious Fudgemallow, by sheer luck or destiny. As Charlie unwraps the second chocolate bar, he sees the glimmer of gold just under the wrapper! Yes, he was one of the chosen lucky one! This was an unforgettable masterpiece from the legendary Roald Dahl, for me and it never fails to delight, thrill, and utterly captivate the reader. A full on roller coaster ride for every fantasy lover! Once again, I have stumbled upon some unknown and interesting facts about famous authors. This time, I target none another than the renowned romantic classics writer, Jane Austen! So….what about her?, you ask! Just a little patience and you will know! For further reading about this famous author, you can read more about this great author on Wikipedia. 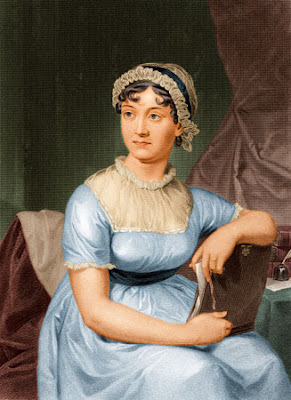 Unfortunately, Jane Austen’s first novel was presumed to be literature of the lowest level by her publishers. Others were no better. Jane had a troubling life as an author to convince publishers and editors for her living. But later, she emerged as a star and stunned all her predators by the ever famous, Pride & Prejudice which has been made into a film in Hollywood and Bollywood too. And you know what? Many of Jane’s novels did not even mention her name. They just said ‘by a lady’. Now…that’s harassing, is it not? What do you have to say? Is it, as I said in my earlier post about J.K Rowling, Female Writers Won't Appeal To The Masses, women authors do not usually get the required fame? Female Writers Won't Appeal To The Masses! Arthur Conan Doyle Believed In Fairies! I recently stumbled upon a never before like online dictionary. It is called One Look Reverse Dictionary and you can access it by clicking on that name. Now, I see you raise your brows inquisitively asking why it is different from the other dictionaries…. But my friends, here is a solution to all those “ahh…umm….yes….ohh…I just cannot get that correct word” stuff. This is a unique place which can supply you with a treasure of any word you want. If you know the definition, type it in the search box and click 'find'. If you are finding a word for your crossword game, just type the clue and Voila! You have a list of words to choose from! You could also use it to find a list if words under the same topic like Fruits or Flowers. Or if you are troubled by your teachers questions like Which is the deepest Ocean? or Which is the largest mammal?, you can find all your answers here. Thus, you understand why I praise it so highly. Now, that you know, bookmark or save the link because I am certain it can abet you in your writing assignments! Library Thing-For All Book lovers!